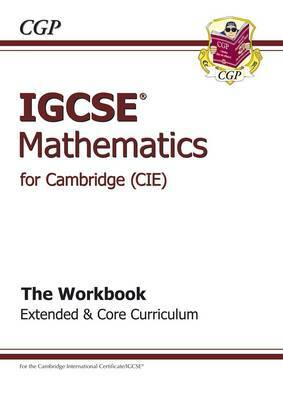 This book is packed with practice questions for students taking Cambridge (CIE) IGCSE Maths, or the Cambridge Level 1 / Level 2 Certificate in Maths. It thoroughly covers all the topics, at both Foundation and Higher levels, for the current exams with a range of exercises to test your maths skills. The answers come in a separate book (9781847625595). Matching study notes and explanations are also available in the CGP Revision Guide (9781847625571).